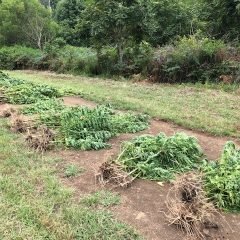 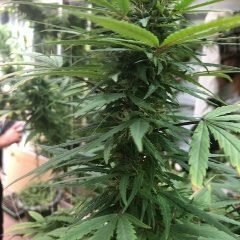 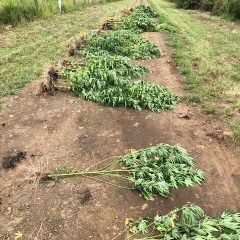 Police have seized cannabis with an estimated street value of $1.5 million following the closure of an operation targeting the possession of unlawful firearms and production of Cannabis in the Wide Bay Burnett, South Burnett, North Burnett and Sunshine Coast. 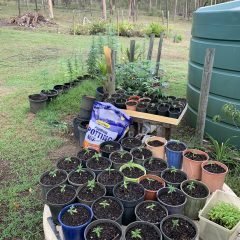 Operation Oaky was a joint operation involving officers from Sunshine Coast District Tactical Crime Squad, Wide Bay Burnett Tactical Crime Squad, and State Crime Command's Major and Organised Crime Squad (Rural). 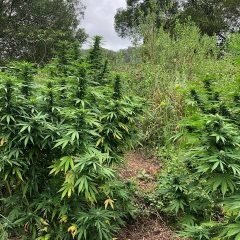 Over the course of the three day operation officers executed 31 search warrants at locations across Wide Bay Burnett, South Burnett, North Burnett and Sunshine Coast including Curra, Maleny, Imbil, Gin Gin, Connondale, Kenilworth, Brooloo, Nanango and Wonbah.